Ten years ago, Barranquilla, the fourth most populated city in Colombia, located the Caribbean seaside, was considered as a place which would take decades to reach progress; however, it is a renewed city today. New public spaces, streets, parks, bilingual schools, modern clinics, large elegant shopping malls, and international restaurants and hotels, have changed its appearance making Barranquilla a role model for many cities in the Caribbean. In the last five years, Barranquilla has made foreign trade the axis of its development, and it is the best city to do so due to its proximity to the main Colombian port in the Caribbean and the fact that it remains one of the safest capitals in the country. Infrastructure, the problem that once affected the city, was solved with the privatization of the river and sea port as well as the utilities. Investments in the road network interconnected with other cities of the Caribbean Region and the airport, has significantly improved the competitiveness of the city with the best strategic position to meet the needs of exporters and importers in regard to international trade agreements signed by the government. The main success factor has been the rise of a business group committed to the future of the city. Apart from that, the criticism which emerged to the policies of the local government, led to a creative tension followed by the disagreement between the public and the private sector; and, through both parts consensus, solutions and more realistic goals were born allowing everybody to do their job. That’s why, Barranquilla is now considered a national example of how it is possible to transform a city when all the citizens work together in order to fulfill a common purpose. Another aspect that has fostered Barranquilla’s economic growth is the joining efforts with other cities such as Cartagena and Santa Marta. Entrepreneurs, public entities and academics have worked together to build a development model for the region as part of what has been called The Caribbean Plan. This model lays in exports which are partially generated with macroprojects in mining, energy, petrochemicals, steel, tourism and telecommunications, among others. All this is reflected in the large number of domestic and foreign companies interested in opening new branches and offices in Barranquilla, which makes it the second largest destination of foreign resources in other sectors than energy and mining just after Bogota. Nowadays, capital is coming mainly from the USA, Chile, France, Spain and Venezuela, and from sectors such as agribusiness, agrochemicals, office, home and hospital items; oil and mining goods and services; BPO (business process outsourcing); electricity, forestry, fruit and vegetable sector; hotel infrastructure, construction materials, metallurgy and retail. Some examples of companies that have settled in Barranquilla are the BTC and Impala, the Porto Azul Clinic, BPO & IT, Delcop Xerox and Interactivo, CSP Tubo (American manufacturing company), Hampton Inn, Sonda (Chilean company engaged in software and database development) and Europark, the Spanish industrial park, among others. 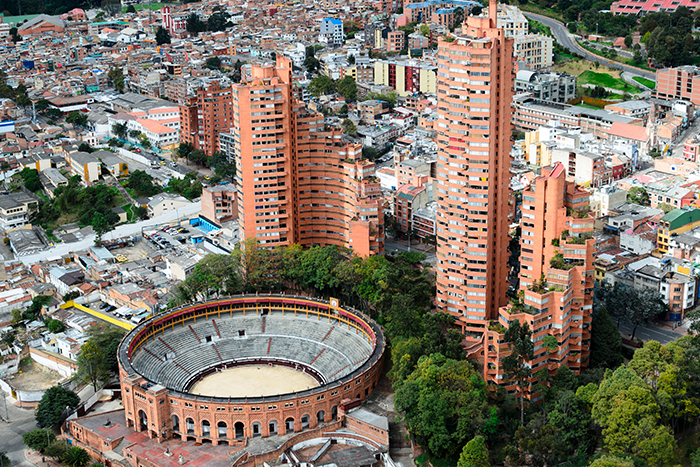 SRS Relocations Colombia offers you destination and migration services to the whole area of the Colombian Caribbean including Barranquilla, a city which is seen as a key in the current economic development of Colombia. Contact us to try now the excellence and warmth that characterizes us.